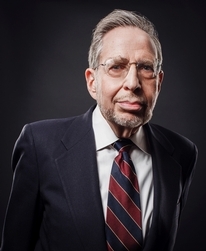 Milton was for many years Adjunct Professor of Comparative and Foreign Law at New York University School of Law, taught graduate courses in Latin American commercial law and foreign corporation law and has served as a member of the Faculty at Practicing Law Institute programs on Doing Business Abroad. He served for a number of years as Chairman of the Latin American Law Committee of the American Bar Association, President of the American Foreign Law Association, President of the Ecuadorian American Association and holds positions in related organizations. Author: "Fundamentals of Doing Business in Latin America," Business and Legal Aspects of Latin American Trade and Investment, The University of Wisconsin, 1976; "Rapporteur Nationale For American Law on Commercial Representation," published in La Representation Commerciale Internationale, Brussels; "Joint Ventures Under the Corporation Laws of Latin America: A New Look," Reference Manual on Doing Business in Latin America, American Bar Association Section of International Law and The University of Wisconsin, 1979; "Enforcement Abroad of Obligations and Guaranties," Issue No. 61-1986 of Revista FELABAN (Review of the Latin American Federation of Banks); "Directors' Duties and Shareholder Rights in Latin America," 1988 Int'l Law Weekend, Association of the Bar of the City of New York. Instructor, Law School, University of Madrid, Spain, Summer, 1991. Associate Director, Pan American Society, 1983-1985.